This little 8mp Tasco trail cam is stocked in Walmart stores for just under $30. I was skeptical at first about such a cheap trail camera, as I have always prioritized quality over price when it comes to trail cameras. However, I chose to give this camera a try after a listener of the podcast recommended it to me. I purchased my first one four months ago to have a cheap option for public land use. Overall, I have been happily surprised with this camera and have several comments and experiences to share on its quality. This Tasco trail cam is very reliable at short distances within 25ft and will trigger every time. As you move further from the camera, trigger reliability decreases especially when the subject is partially blocked by brush and trees. I have found that at 30-40ft trigger reliability is about 50% and I have watched deer walk in front of the camera and not trigger it. Surprisingly this camera has an impressive trigger speed some of the time with walking deer often caught just as they enter the field of view. 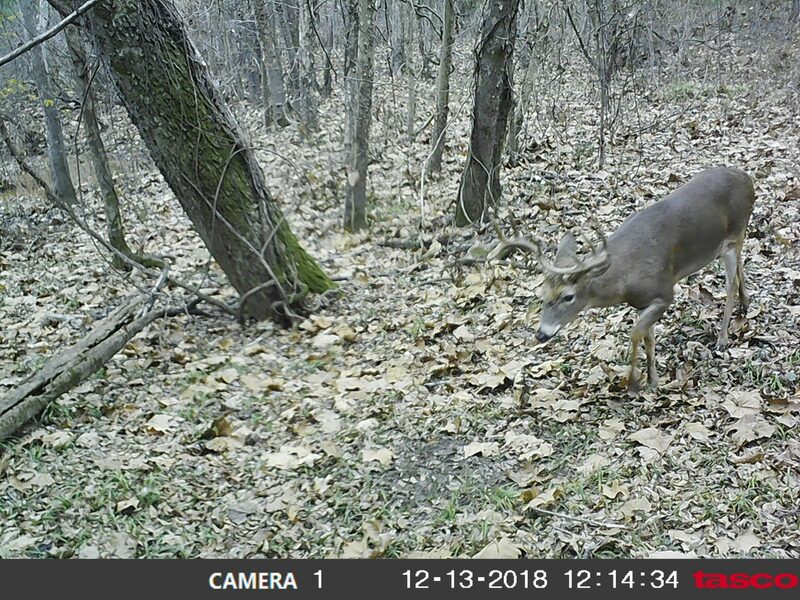 This trigger speed is not always reliable, as occasionally I do receive photos of deer butts as they pass out of the screen, but overall it does very well for itself. This camera is best suited for locations where deer pass close to the camera such as scrapes, persimmon trees, oaks, etc. (Above) Even walking at full speed this buck was caught be the $30 Tasco cam just as it entered the frame. When I purchased these cameras in August I bought the cheapest bargain brand alkaline batteries I could find. I have run the cameras for four months with these batteries and have had no issues, but due to the cameras lacking a battery level meter I have no way to see how quickly they have used up the charge. I have talked to others about these cameras and have been told that the reliability of the camera triggering begins decreasing as battery charge fails. To avoid this I am changing out the batteries every 4-5 months, but they may run longer if you were willing to risk missing photos as the batteries begin to fail. 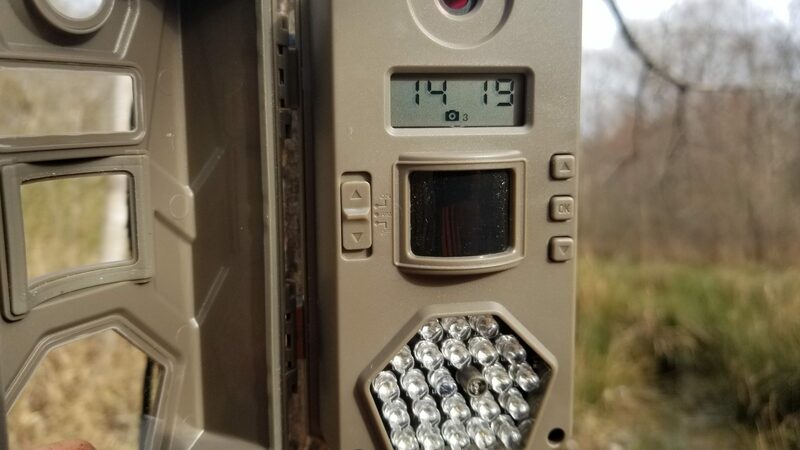 This Tasco trail cam lacks any advanced features, but for someone just looking to see what’s out there this camera has a single photo and multiple photo burst mode. It has just the basic up/down and enter buttons for navigating the settings and the display can be slightly complicated with the acronyms it uses, but setting the clock and trigger burst is simple enough. It comes with a very thin brown strap and plastic buckle that are a little tricky to use, but I do like the fact that it’s easy to conceal on public land. (Above) The Tasco trail cam has a very basic easy to navigate menu but lacks a battery level meter. The $30 Tasco trail cam does well for itself during daylight with only slight blur when animals are moving quickly. At nighttime photos are dimly lit by the infrared flash, animals centered in the frame within 25ft are illuminated well but outside of this area animals tend to be dim and difficult to make out. At night, animals appear blurry when they are moving. These issues with photo blur do detract from photo quality and make it difficult to distinguish individual bucks from each other. 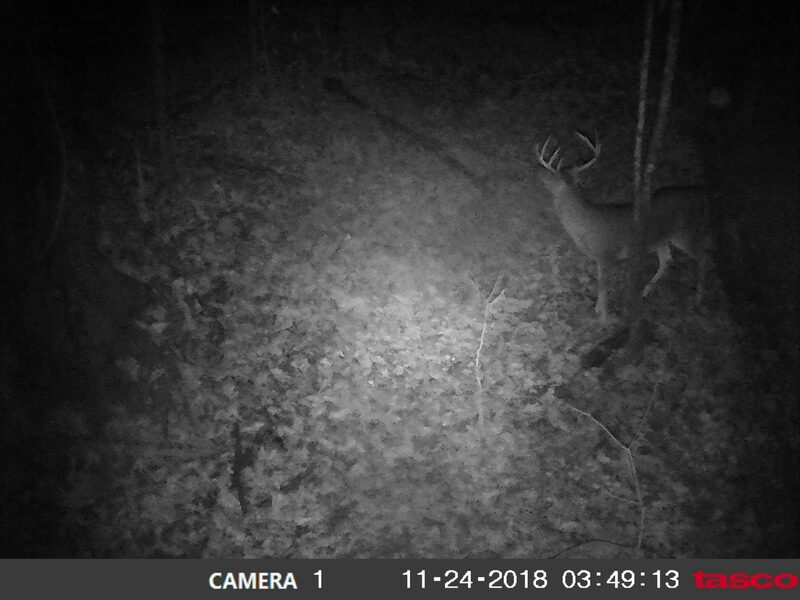 However, even the nighttime blurry photos are good enough to tell whether a buck is a shooter or not. 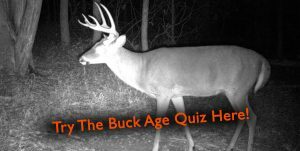 (Above) Nighttime photos can be a bit blurry and dark, but they are good enough quality to evaluate whether a buck is a shooter or not. For $30 I don’t think you will find a better trail camera. Keep in mind that this is a budget camera whose biggest strength is not photo quality but rather cost efficiency. For public land where cameras tend to disappear, this one is an excellent choice. If it is stolen you are only out $30, and I feel that most thieves are less likely to go to great lengths to steal a cheap camera over a more expensive premium model. 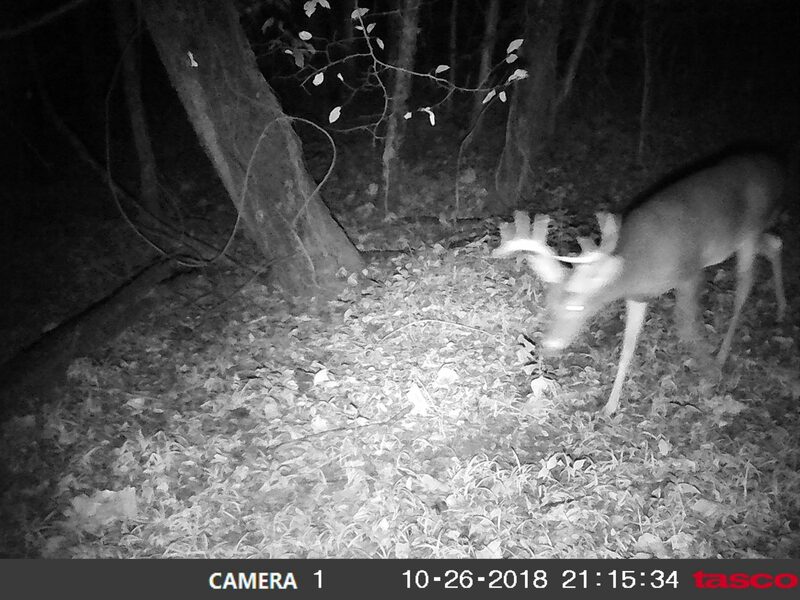 Give this camera a try, and put it on a scrape or under an oak tree where deer will be standing still and you will be happily surprised with what $30 gets you!